Wells Touring Park is a dog friendly touring park. Don’t leave your canine best friend behind when you go on a holiday! Dogs must be kept on a short lead at all times around the site. It is a site condition that you clean up after your dog and put dog waste in the litter bins provided. Owners must keep all pet noise and disturbances to a minimum. Dogs are not permitted inside any of the park’s buildings. We reserve the right to insist that the owner remove their pet from the park if it is a nuisance or a danger to others. Aggressive dogs will not be tolerated. Beautiful walks over the Mendip hills or along the Somerset levels. 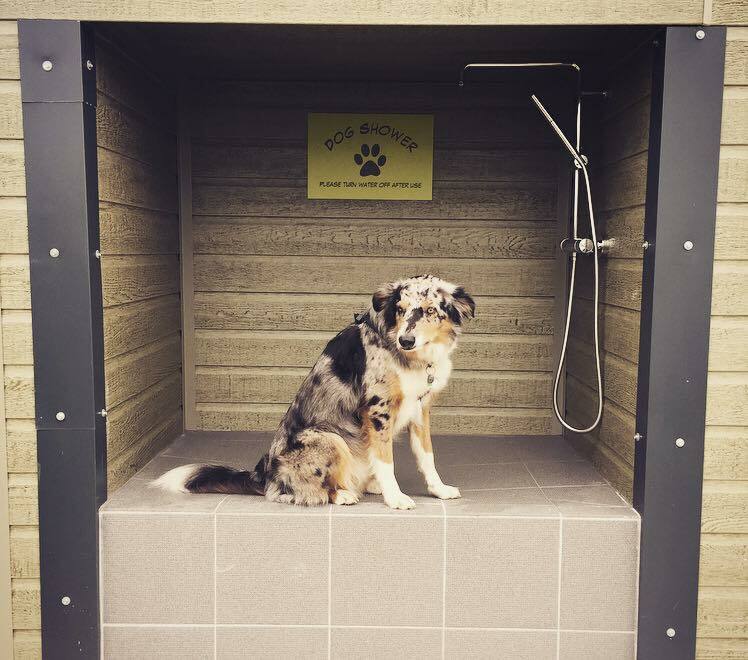 Plenty of dog friendly pubs within the mile and also on the park we have a dog shower and convenience area.